Rainbow moonstone has always been a favorite of mine. I wear it on a daily basis and always have it with me (ask my husband). Aside for the comfort in brings me, it shimmers nearly every color when you catch it in the light. It just now dawned on me what a FABULOUS idea it is to grab inspiration from JEWELRY!! Thank you so much for visiting, I truly love it when you do! BIG project still underway! Stay tuned! OMG! Don't die!! I need you to be my stylist!! What would I do without you?? Very pretty! I can't wait to try it. So glad you like it, Sara. You are so sweet! Thank you, Jazmin! Your avi is GORGEOUS. This look is so beautiful! Looks lovely :] I have to try it out! You always give me such fantastic inspiration for eye looks. I just grabbed a new color tattoo in blue paradise and I'm dying to try it out asap tomorrow (I think it would look lovely with a look like this ;]) Thanks so much for another amazing post! I LOVE this look!! It's absolutely gorgeous and so are you! Aww!! Thanks so much, Beauty!! You are so sweet!! 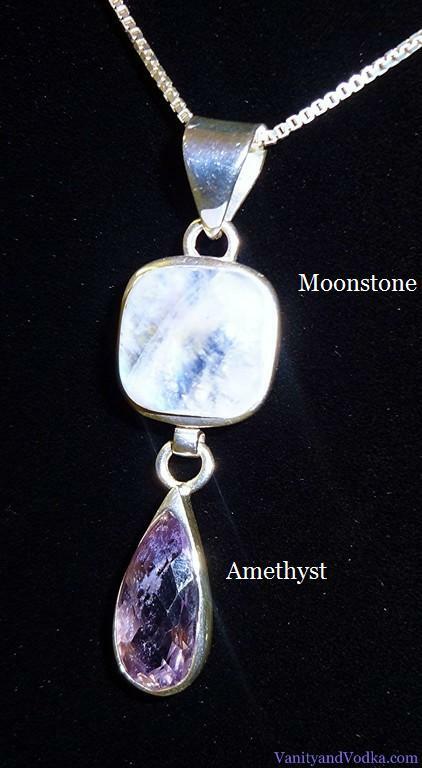 Wow I can see why you love moonstone! It's gorgeous! Your makeup recreation of the stone looks incredible!! Traci you are so sweet, I sincerely appreciate your kind words! Thank you so much, Martha!! Truly appreciated! I love the look and the inner corner highlight is just WOW! I hope your followme back in that three. Thank you so much! I'm so glad you like it! So gorgeous, I love this!!! That eye makeup is amazing, your eyes look so beautiful! very pretty look! i love the dimension in this look - reminds me of something you'd see in space! Thank you, my love!!! LOL!! NO!! There is no record! Ha ha!! So pretty. I love moonstone too. It's 1 of my birthstones. I got a pair of moonstone & alexandrite earrings recently. JEALOUS! I LOVE it!! Thank you! OMG! You have the most GORGEOUS skin! And I LOVE LOVE LOVE your red hair! Yay for red hair! 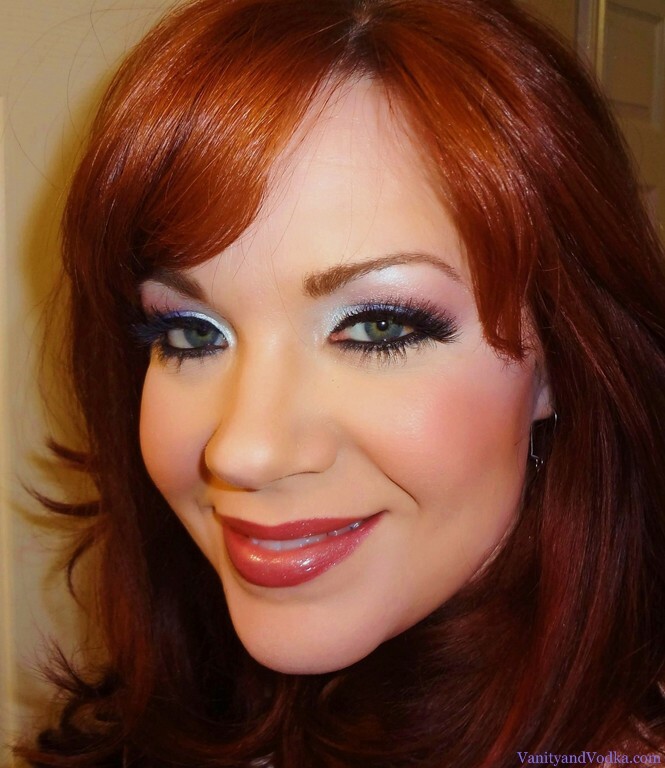 (I'm a redhead,too!) lol. New follower, found you on IPSY. :) Looking forward to reading more of your work. This look is really pretty. THANK YOU!!! *HIGH FIVE* for red hair!! LOL thank you so much! !